With winter coming closer by the day, we’re getting a little day-dreamy about escaping the slush, sleet, and grime of the city and heading into the woods. 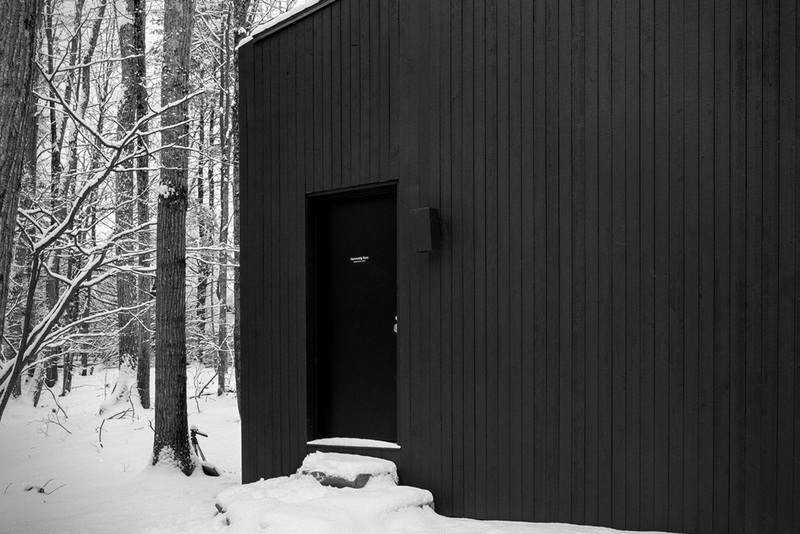 The Hemmelig Rom Cabin will be an ideal getaway! 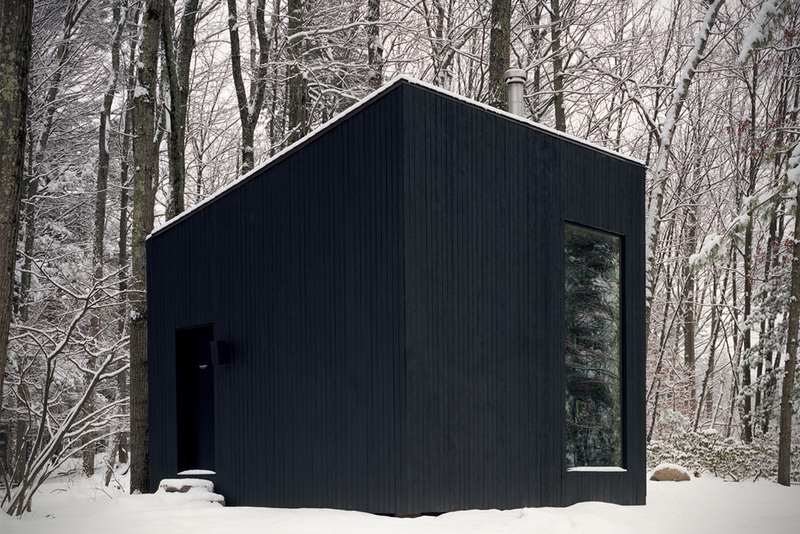 The cabin (whose name translates to ‘Secret Room’ from Norwegian) is everything you would want out of a minimalist getaway. 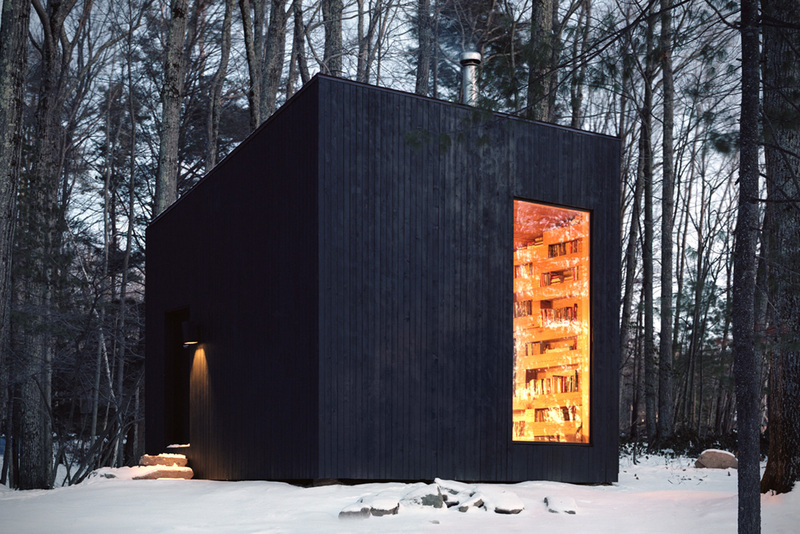 The wooden exterior is stained a stark black that stands out from the snowy woods much like the dark bark of the surrounding leafless trees – all while the warm exterior invites occupants in to recover from long hikes with a warm wood stove and plenty of books. 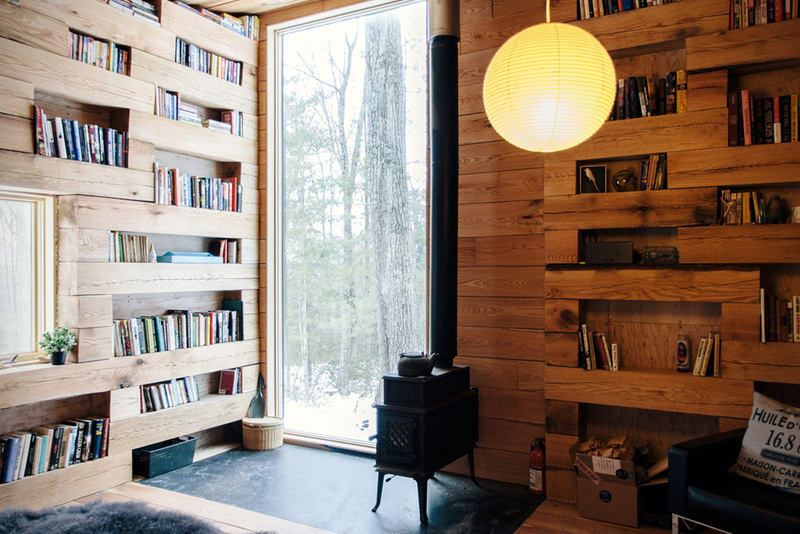 What makes this guest-house located on a private property in upstate New York that much more unique, is how the actual books are stored. The architectural firm in charge of the project, Studio Padron, designed the walls in a manner that created a natural bookshelf. Logs, after aging for years on site, were stacked in a manner that left gaps along both walls and allowed for a library worth of books to be stored in the cabin. The result? 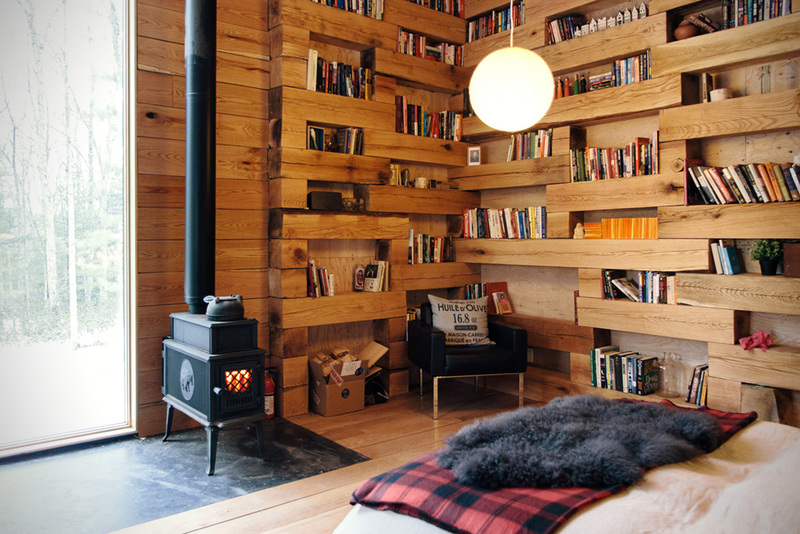 The perfect cabin for the bookworm looking to leave the hustle and bustle behind.